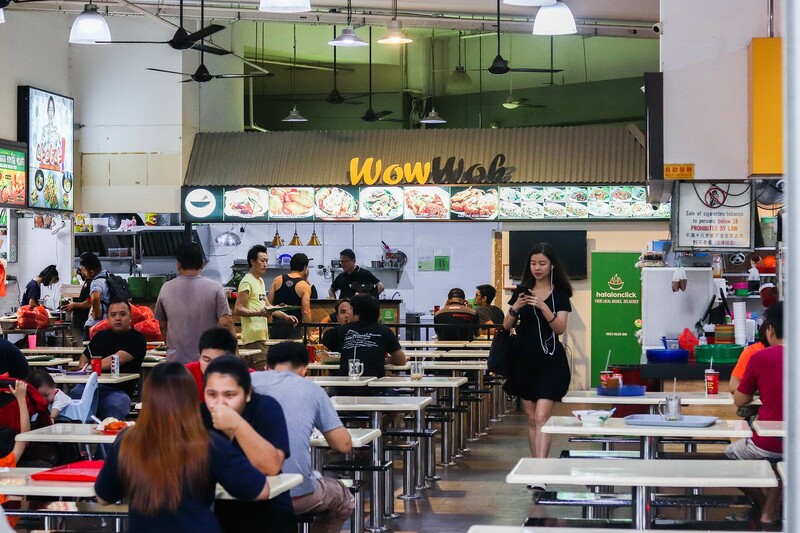 You are here: Home » * Must Try * » Wow Wok – Famous Halal Zi Char Moves to Woodlands! 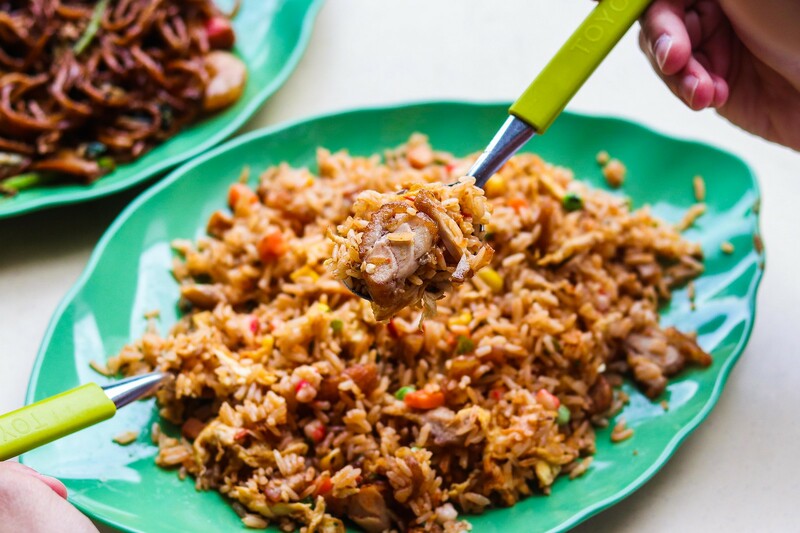 Wow Wok – Famous Halal Zi Char Moves to Woodlands! “My name is Alex Kho. 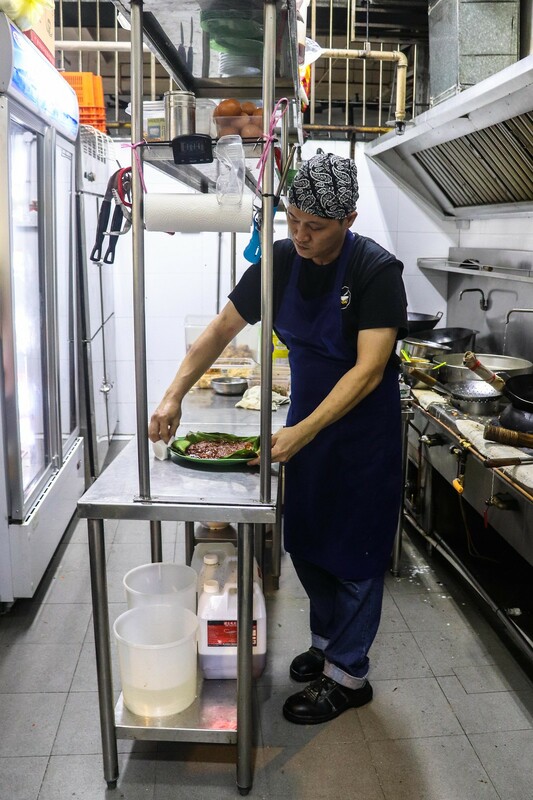 I’m also known as Ridhuan.” The self–introduction of the 33-year-old head chef of Wow Wok might be a real puzzle to some. However, readers might find him familiar especially if you have heard of Ridhuan’s Muslim Delights. Yes, he is none other than the famous Chinese-Muslim cook who is known for his Halal Chinese tze char! Ridhuan’s decision to convert to Islam followed after marrying a Malay-Muslim lady. His name, Ridhuan, was given to him by his father-in-law. At 18 years old, Ridhuan took the road less travelled. He left his hometown, Sarawak, to pursue a culinary career in Singapore. Although we are now witnessing to what is possibly the peak of Chef Ridhuan’s career, it is not without its struggles. 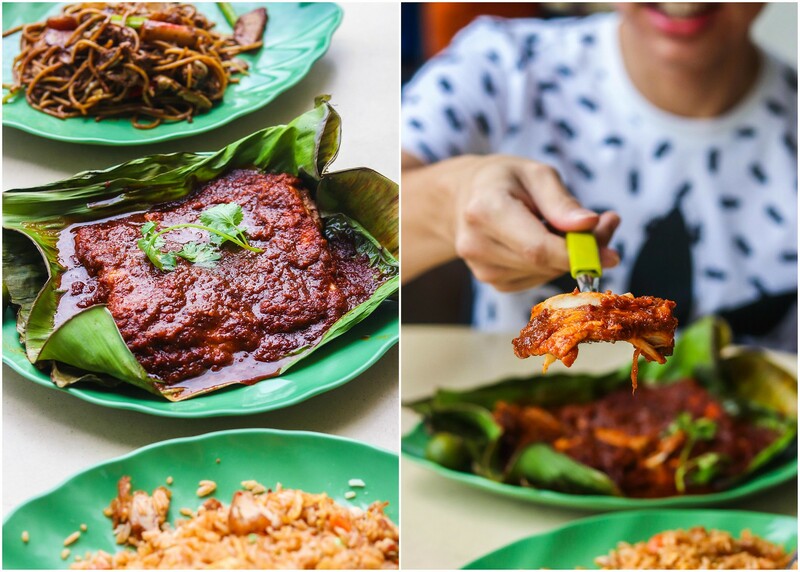 Before Ridhuan’s Muslim Delights and Wow Wok, the chef worked at a tze char stall in Tuas. Ridhuan, a man of integrity, chose to leave after witnessing some of the management’s unethical practices. After a successful, albeit short, culinary stint as the head chef of Ridhuan’s Muslim Delights, Ridhuan moved to an industrial park in Woodlands with the help of some investors. Chef Ridhuan is extremely affable. However, follow him into the kitchen and you’ll see him put on his game face. 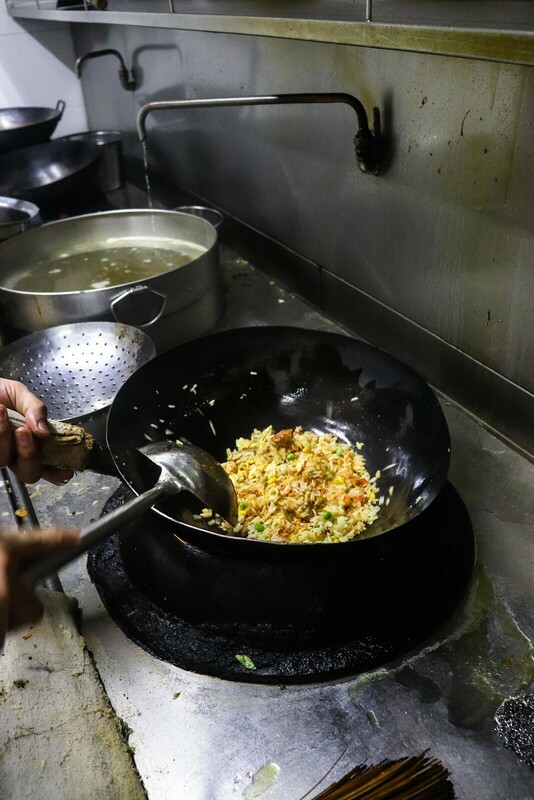 Watch chef Ridhuan assemble the ingredients for his famous Green Chilli Fried Rice ($4.50), and throwing it all into a wok before stir-frying it ferociously. “The green chilli is blended and infused into the rice, so you wouldn’t be able to see it,” Chef Ridhuan shared. A light heat lingered as soon as we took the first bite. It’s really shiok! The grains carried a slight hint of wok hei. This plate of appetite-whetting dish will definitely satisfy, and keep you craving for more. It definitely deserves its title as one of Ridhuan’s signature dishes. 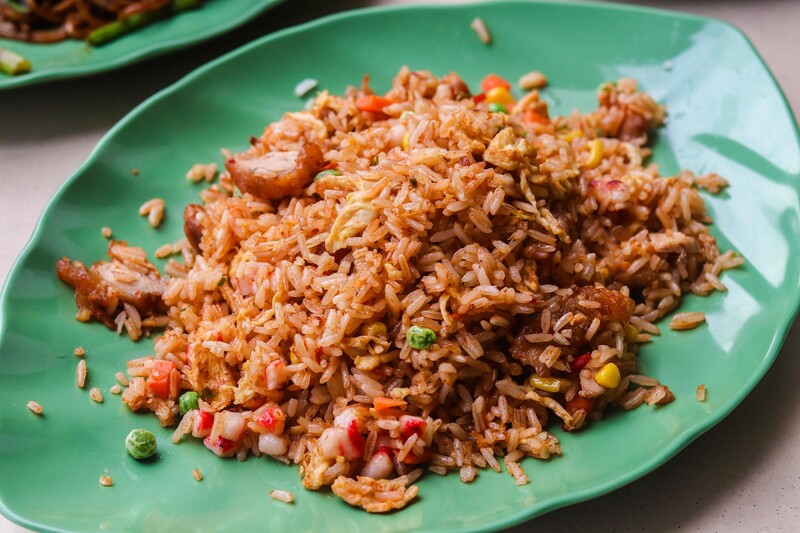 It might sound as simple as a plate of fried rice, but there’s so much depth to it. To say that the grains are moist and flavourful would be understating it. While I didn’t really like the peas (personal preference), I enjoyed the bits of corns, shredded egg and chicken bits. This dish is a must-order! 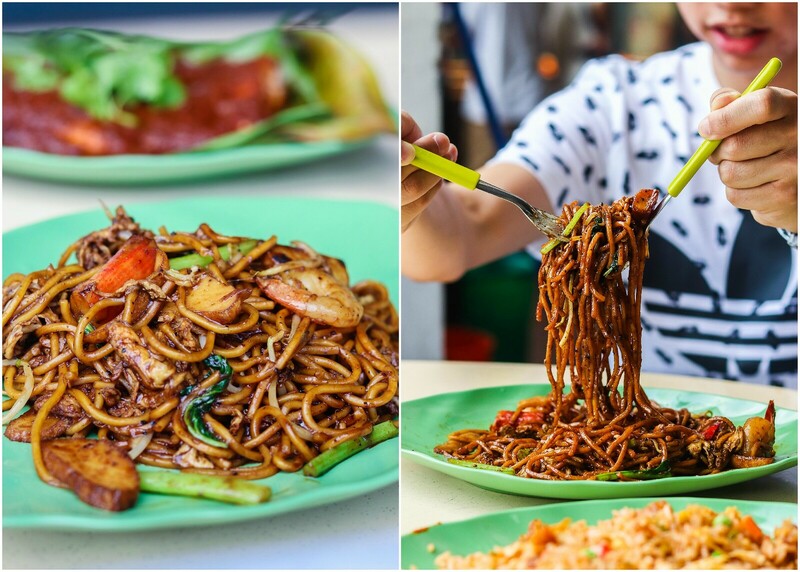 The fried rice was great, but my favourite was really the Black Pepper Mee Goreng ($4.50), and for many reasons. 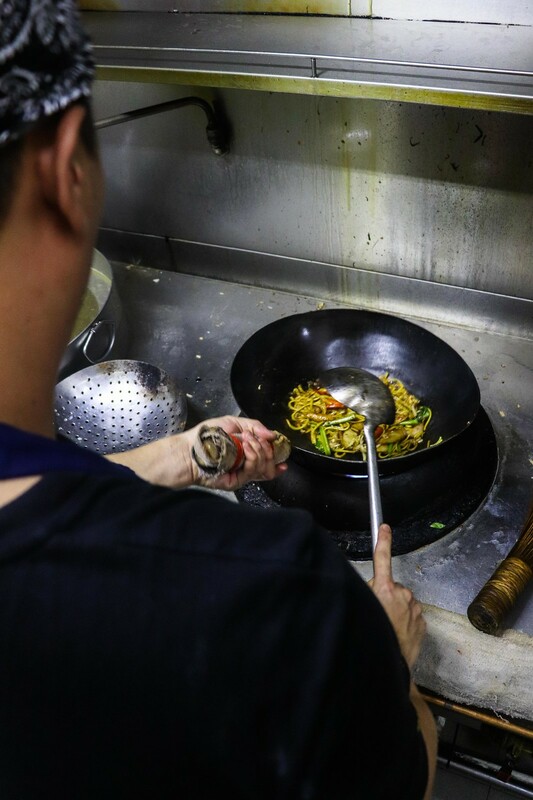 For one, the black pepper sauce, which is made in-house, gave the noodles a savoury and peppery kick. The wok hei is much more alluring too, promising diners a toothsome experience. Every mouthful came with scrambled egg bits which imparted sweet notes to the noodles. 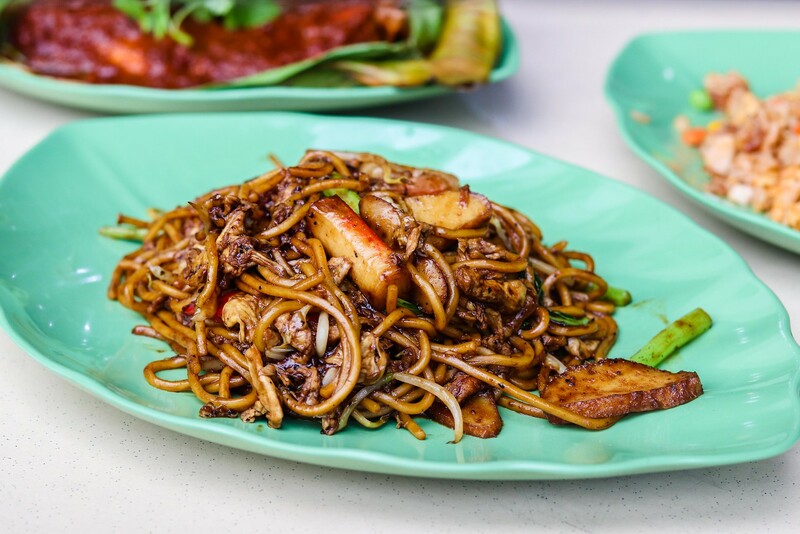 You’ll find a handful of greens, crab sticks and prawns in the mee goreng. Like the noodles, the ingredients are coated in the same peppery sauce. Diners might be slightly overwhelmed by the saltiness. Get a beverage ready, because you’d need it to quell some of the heat from the delicious black pepper sauce. We were recommended the absolutely scrumptious Stingray ($12). The stingray is grilled to perfection. Chef Ridhuan adheres to a strict timing and this perfect timing helps to ensure that all the flavours are locked into the stingray. The result? Tasty, succulent, yet delicate, piece of stingray. 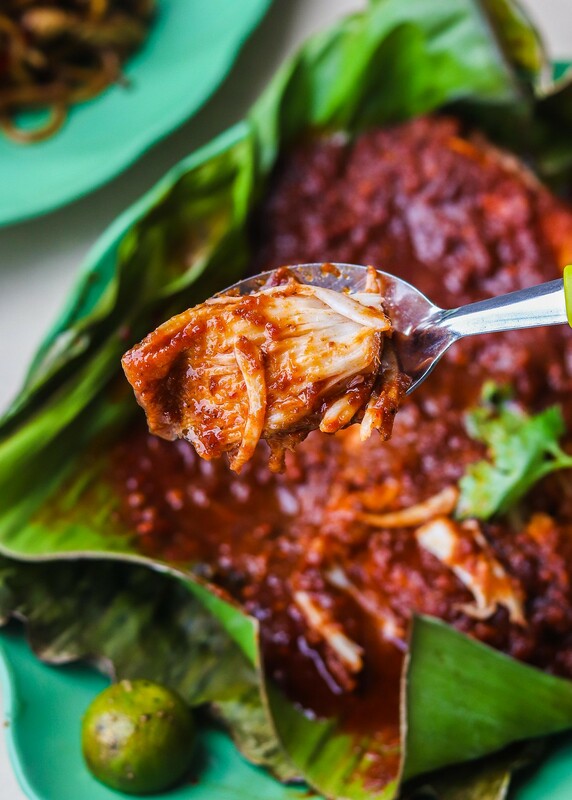 Unlike traditional stingray, where the cincalok is served separately, the sambal sauce here is actually infused with the cincalok. “I modified the sauce three times to suit my customers’ taste, including the cincalok used for the sauce,” the humble chef shared. While I have not tried the previous versions, I found the chilli here to be hot and flavourful, with an enjoyable smokiness. For its price and portion, I’d say the stingray is a steal. All the dishes we had were extremely tasty. As a Woodlands heartlander, I’ll be sure to return for their food. I urge you to drop by for a taste of Ridhuan’s dishes right now! Let’s build a food community that helps to update the food news in Singapore! Simply comment below if there’s any changes or additional info to Wow Wok by Ridhuan. We will verify and update from our side. Thanks in advance! For more food videos, check out our official YouTube channel! You may also wish to check out our article on Makanista, a new food court in Tampines serving innovative dishes!